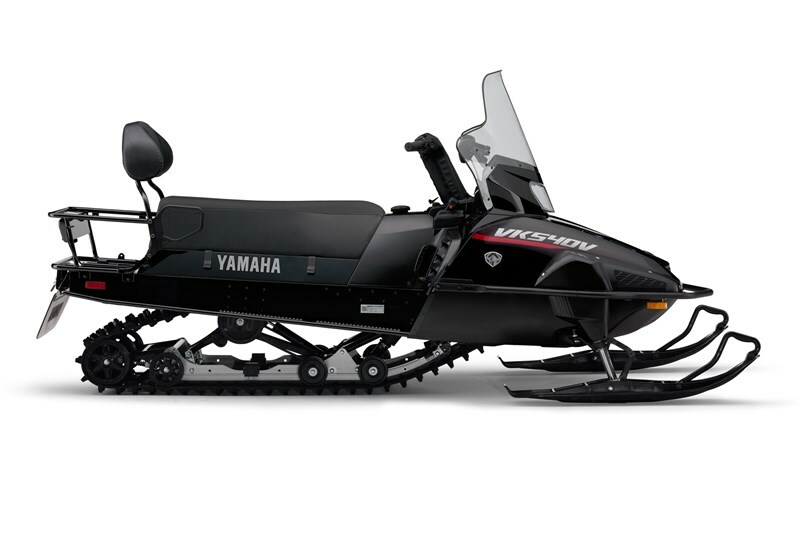 The proven 540 2-stroke engine returns to the North American market in this utility-minded snowmobile. The engine has been updated to meet EPA guidelines. 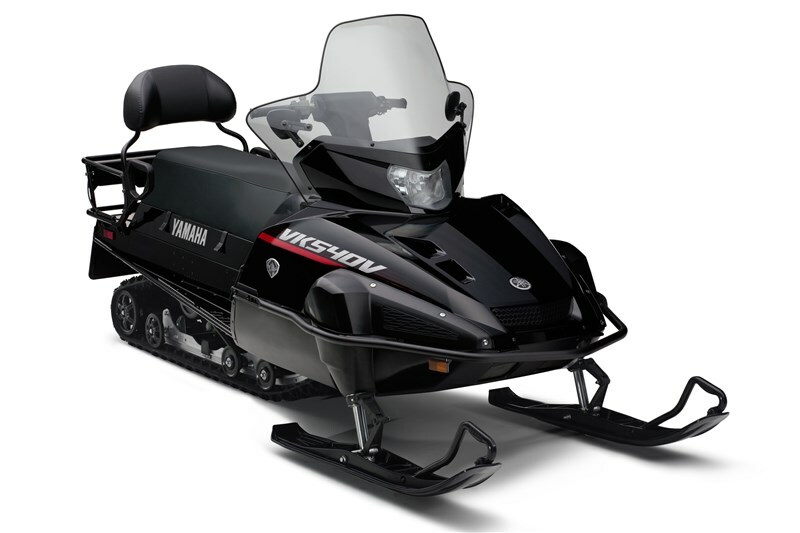 In addition, Yamaha's engine engineers improved midrange torque and reduced fuel consumption by nearly 25 percent. As part of the modern styling project, the VK540 now features a dual-bulb headlight. The new headlight throws more light on the trail than the previous single bulb design, and is fully integrated in the overall styling cues. The new VK540 has a large, multi-coil stator ring design to develop over twice the electrical output of the previous model. 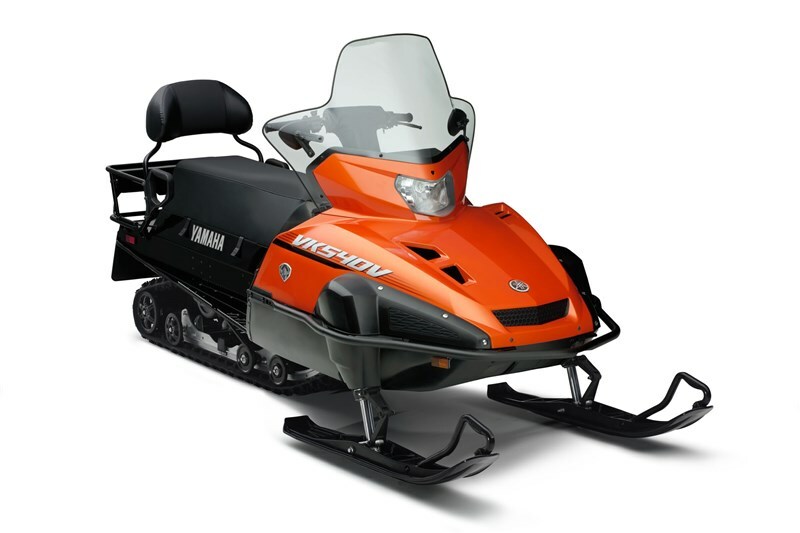 The 400 watt output is used to power the new carb heaters, new twin-bulb headlight, the hand warmers and other accessories. The seat on the VK540 is 60mm taller than the previous VK540, which elevates the rider and delivers a comfortable posture for long days in the saddle. New high density foam also improves ride comfort. Enjoy extended range and expanded work capability with a large fuel tank. The tank boasts of a capacity of 11.6-gallons. Combine that with the new cleaner-running engine and you'll see nearly double the range on a single tank of fuel, as compared to the previous VK540 models. 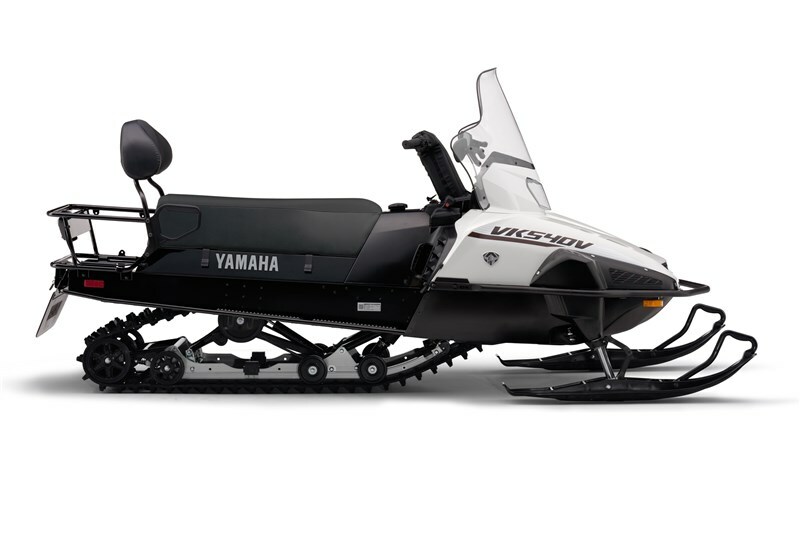 Yamaha engineers developed a new clutch calibration to maximize the increased midrange torque, while keeping the sled's utility application in mind. The result is a setup that has very smooth engagement and roll out, without sacrificing overall operating performance. The Hi/Lo transmission with reverse is workhorse one minute, and a versatile trail cruiser the next. With a simple to use manual actuated lever, you can select from “normal” high range to low range to pull heavy loads below 50mph. TSS for snow mobility and simplicity. The new tunnel design includes large snow evacuation holes on running boards with traction. The tunnel is built out of lightweight, high-tensile steel to keep the VK540's legendary rugged durability in the toughest conditions. 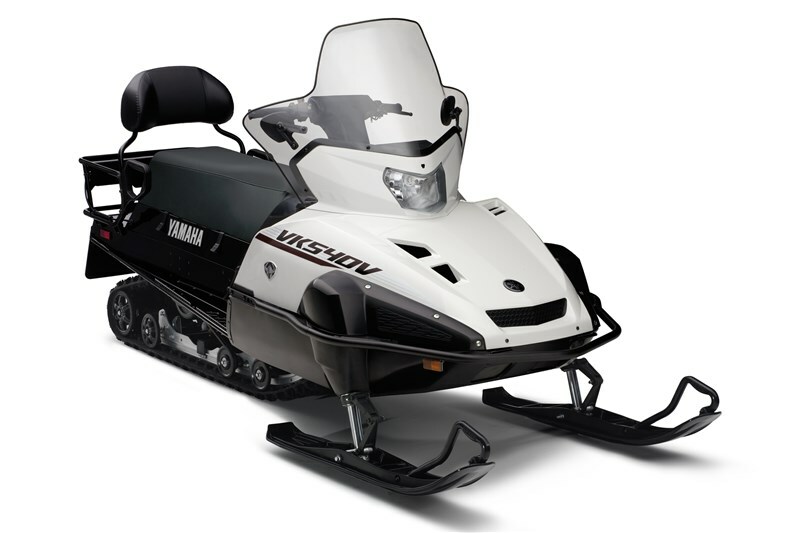 With a hinged, flip-up seat, the VK540 exudes its work ethic at every turn. The large under-seat storage touts an integrated tool kit and room for much more. The seat's hinge pins are easy to pull for quick seat removal to speed loading and unloading. Seamless and easy to use electric start delivers instant and hassle free starts, no matter the weather, eliminating the need for an “old-school” pull rope. A fresh look for the legendary proven VK540 is both modern and tough. Extensive development went into a new shroud and duct work to minimize engine bay snow ingestion. This is especially important in extreme cold markets where the fine snow crystals will penetrate every nook and cranny and can create ice build up. A wide, tall, wrap-around style windshield delivers greater protection from the elements as well as unsuspecting tree branches and limbs. The windshield has been wind tunnel tested to reduce unwanted negative swirl and deliver a greater “pocket” of comfort for both driver and passenger.